"The documentary field now is like looking at the earliest years of television — new tools, new storytelling techniques, new participants. It's a very exciting moment." Founded in 2012, the OpenDocLab builds on MIT’s impressive legacy of media innovation. Director Sarah Wolozin, says: “MIT is uniquely qualified to lead this endeavor, because of the understanding at CMS/W of how people use media, and the level of expertise here in new technologies, games, and civic media — all areas that storytellers are now incorporating. Principal Investigator is William Uricchio, Professor of Comparative Media Studies at MIT, and Professor of Comparative Media History at Utrecht University. In the fall of 2013, Arthur Bahr gave the students for his class on "Medieval Literature" the option to turn in a creative project about Sir Thomas Malory’s Le Morte d’Arthur, rather than the traditional fianal paper. “These are MIT students," says Bahr, Associate Professor of Literature. "They’re makers.” About half of the students took him up on the option, which required students to make something related to visualizing time and space, a challenge for both readers of and characters in the book. He received maps, elaborate charts, a storyboard for a television pilot, and, in the case of Laura Meeker '14, a board game. Creating the game challenged Meeker as a student of literature and also as an engineer. convey the essence of Malory's Morte d'Arthur. Assistant Professor Yamamoto proposes a new polling method to reveal how voters make choices at the ballot box. Any analysis of exit polling reveals a welter of numbers whose meaning remains slightly elusive. Now, a new paper co-written by Yamamoto suggests a way to assess the relative impact of several factors at once, using a method known as “conjoint analysis." "We’re in a renaissance of nuclear studies now, and MIT is at the center of it,” says Gavin, who joins the Institute after 14 years at the University of Texas at Austin, where he launched the Robert S. Strauss Center for International Security and Law. In his position at MIT, Gavin will facilitate collaboration among political scientists, historians, and policymakers. Choucri, who analyzes issues of governance, politics, and participation in online communications, says there are two major debates about governance of cyberspace: about the roles that the private sector and international organizations should play in managing the Internet; and about cyber security and cyber espionage. Talks on the two debates should converge, she says, as there are many overlapping issues. Associate Professor of Literature Sandy Alexandre explores the complex relationship between black literature and history. Her first book The Properties of Violence (University Press of Mississippi) was published in 2012. Now at work on a new book, Alexandre is researching the many psychological and historical meditations found in African-American literature about what it means to own property. Graham, Professor emeritus of the History of Science, says innovators particularly need "different frames of mind in crisis moments, when one doesn't know how to go forward." Sometimes these frames of mind are philosophical, sometimes they are moral, religious, or ethical. Mnookin, an Assistant Professor of Science Writing, observes that "Scientists will say, 'With all of the tests that we’ve done, we’re fairly confident that vaccines don’t cause autism.' In science-speak, that means we’re virtually 100 percent confident. In media-speak and public-speak that implies there’s real doubt. That’s one reason we need science writers — people who really understand the language of science and the language of non-scientists and can translate between the two." L to R: Loren Graham, Professor emeritus of the History of Science; Vipin Narang, Assistant Professor of Political Science; R: Seth Mnookin, Assistant Professor of Science Writing, and Associate Director of the Graduate Program in Science Writing. L to R: Lonely Ideas: Can Russian Compete? (MIT Press, 2013), by Loren Graham, Professor emeritus of the History of Science; Eurasian, Mixed Identities in the United States, China, and Hong Kong, 1842-1943 (University of California Press, 2013), by Emma Teng, T.T. and Wei Fong Chao Professor of Asian Civilizations and Associate Professor of Chinese Studies; and Making in America, From Innovation to Market (MIT Press, 2013), by Suzanne Berger, Raphael Dorman-Helen Starbuck Professor of Political Science, co-chair of the Production in the Innovation Economy project, and director of the MISTI MIT-France program. MIT students participated in the recent "Emerging Creatives" conference hosted by a2ru, a national advocacy organization for integrating the arts into research universities. MIT is a founding member of a2ru. Speaking at the event, Leila Kinney, Executive Director of Arts Initiatives at MIT, noted that “Beginning with the presidency of Jerome H. Wiesner in the 1970s, MIT has incorporated the arts as a conduit of innovation, believing them to be essential to the creative environment of a research institution renowned for science and engineering." A group of students and faculty from MIT, Brown University, the Rhode Island School of Design champion the idea of adding another letter — “A” for “Arts” — to turn the acronym STEM into STEAM. 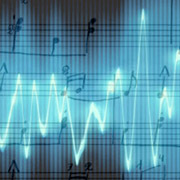 Markus Buehler, materials scientist and Head, MIT Department of Civil and Environmental Engineering, explains how music can help scientists be more creative. Kaiser, the Germeshausen Professor of the History of Science in SHASS, writes, "We reached the 50th anniversary of some pretty remarkable developments in physics several of which percolated up independently of each other in 1964, and most of which passed without much notice at the time. This is a short piece to mark the anniversary." "The researchers expect this experiment to verify quantum theory's predictions, but if the test finds otherwise, 'that would be a win also,' said MIT's David Kaiser, the Germeshausen Professor of the History of Science in SHASS, and Senior Lecturer, Department of Physics. 'It could mean that we have to change quantum theory, the fundamental theory governing matter. Or it could mean that there could be weird activity in the very earliest moments of the Big Bang.'" "The area of science that I work in, theoretical physics, is very heavy with philosophy, and I've been inclined, since a young age, to ask idea-type questions....When you're writing fiction, you have to handle ideas like high explosives: You've got to be very careful with them, so that they don't dominate the work. My strategy is to place a main character in a situation where they have to confront an idea — and then I get out of the way." The Wall Street Journal's MarketWatch quoted MIT economics professor Jonathan Gruber as saying that the Federal Reserve study supported similar findings in other parts of the country. "During the same week that saw Ukraine teetering on the brink and the Olympics, there were two other events worth noting. They are very different in scale and meaning but linked by a concept that defined the 20th century: crimes against humanity." Pollution is not simply an unavoidable side effect of economic growth, but a reflection of societal choices. Seizing these opportunities for reform would lead to longer and healthier lives. For MIT Economist Acemoglu, the co-author of Why Nations Fail, the split personality of these years of crisis and recovery is “no puzzle.” “The United States is still the most innovative country in the world,” he said. The problem, he says, is that the innovations produced by the thriving set don’t necessarily translate into jobs for struggling people. "MIT was one of the first institutions to support this concept, facilitating interaction between artists, scientists and engineers at the Center for Advanced Visual Studies – where Takis was a fellow in the late '60s. A new Center for Art, Science & Technology (CAST) augments MIT's laudable commitment." Solow was a senior economist for John F. Kennedy. He's an emeritus professor at MIT, and his 1987 Nobel was for his work on theories of economic growth. One important condition that alllows good conversation to flourish between friends is an uninterrupted full attention to one another, says Turkle, who has interviewed dozens of people for an forthcoming book entitled Reclaiming Conversation. Turkle is Abby Rockefeller Mauzé Professor of the Social Studies of Science and Technology. for a lifetime of creativity and growth.